The most popular article published this year was one of my regular attempts to gather together every resource about a conference I’m attending in real time. This year it was the IA Summit in Denver. A couple of weeks after launch I posted this summing up of some of the reaction to the Guardian’s Facebook app, which has been one of my major projects this year. Andy Rutledge stirred controversy in both the UX and news circles with his speculative redesign of the New York Times site. In this blog post I outlined four ways that his design might look nice, but wouldn’t meet the needs of users. My take on what defines trolling ended up earning me a spot in Comment is free to discuss the issue, and a stern rebuke in the comments on here from AllyF. At the start of the year there was an outcry over BBC plans to delete previously archived and mothballed websites from BBC Online, removing from the internet some of the earliest surviving examples of news websites. This blog post was based on the conclusion of the “Come as you are” talk I gave as the opening keynote of the Polish IA Summit in Warsaw in April. A somewhat meta post about the production of this blog, and how the iA Writer app for the iPad had transformed the productivity of my commute. A post looking at how the curated and editioned nature of the Guardian’s iPad app is a very different experience from actively seeking news on the web, and how it has left me reading more of the newspaper in the last few months than I have for the previous couple of years. This write-up of Karen McGrane’s brilliant talk at London’s Content Strategy Forum obviously struck a chord. Finishing the top ten the way we started, with a post trying to round-up all the resources from this year’s Prague IA Summit. This year, for the first time, I’ve made a Kindle edition of the highlights of the blog in 2011. It includes over 50 of the best posts, covering topics such as live blogging, community and social media for news websites, and the future of digital media. 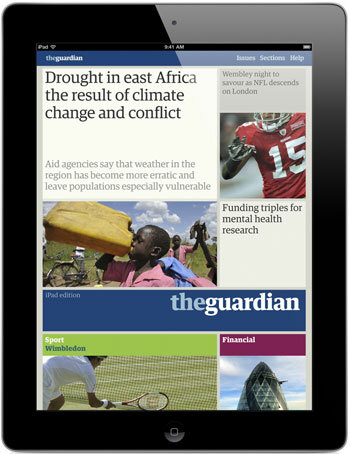 It features write-ups of talks by Guardian journalists including Paul Lewis, Matthew Wells, Andrew Sparrow and Chris Elliot, and behind the scenes looks at Guardian products like the Facebook and iPad apps. It also has transcripts of my talks at EuroIA, the UPA conference, the Polish IA Summit, Content Strategy Forum 2011, FutureEverything and Hacks/Hackers London. “currybetdotnet: Best of the blog 2011” is available in the Kindle store for £1.92. There are two other Kindle compilations of content from the blog available - covering the notes I’ve made over the last couple of years at Hacks/Hackers London and at London IA. This collection brings together notes from 16 Hacks/Hackers London talks, including those from Martin Rosenbaum, Stephen Grey and Wendy Grossman. It looks at topics of interest to journalists and programers alike, including freedom of information, processing big data sets to tell stories, social activism hack camps, the future of interactive technologies, and using social media to cover your tracks - or uncover those of somebody else. London IA is a network of designers, information architects and thinkers. Since 2009 the group has been holding regular meetings featuring talks about UX, or of interest to UXers. This ebook is a compilation of my notes and blog posts written about those evenings, featuring talks by Andy Budd, Giles Colborne, Cennydd Bowles, Claire Rowland, Jason Mesut, Ben Bashford, Chris Heathcote, Dan Lockton, Relly Annett-Baker, Michael Blastland, Margaret Hanley and Richard Rutter amongst others. The topics covered range from ubicomp to psychology, from learning how to sketchnote to how to write a UX book, and how to improve digital design through diverse routes like copy-writing, designing for doubt, learning from music technology or taking care of typography. Thanks for reading during the year, and I’ll be back blogging in 2012. By Martin Belam on 21 December 2011.